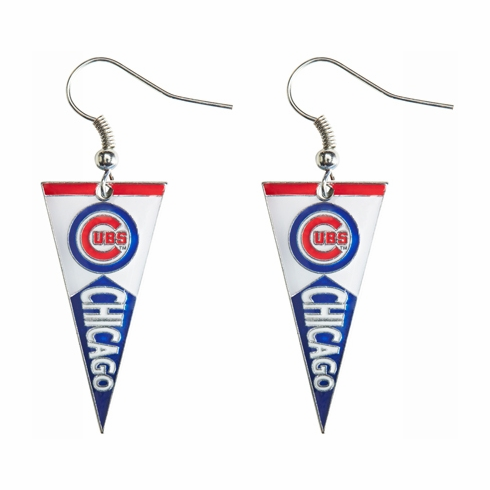 Show your love for the Cubs with these pennant-shaped dangle earrings. Silvertone pennants measure appx. 1.25" tall.